Product Overview The be quiet! Power Zone is home for discerning gamers and PC enthusiasts seeking high power, top performance and great features. 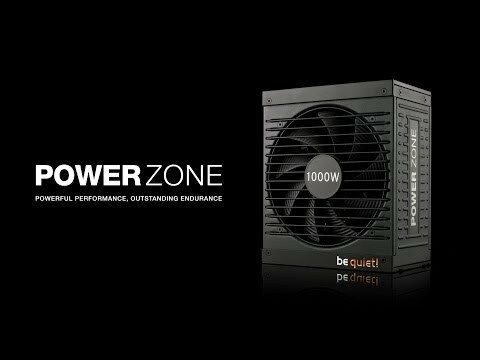 Power Zone 650W hits that sweet spot with granite stability, advanced cooling features, low noise and great value. 650W be quiet! Power Zone, Full Modular, 80PLUS Bronze, 1x135mm Fan, ATX, PSU is rated 4.3 out of 5 by 3. Rated 5 out of 5 by chubble10 from Great PSU Silent, good power output and looks pretty good as well. What more could you want from a PSU? Rated 3 out of 5 by dustybloke from Cables difficult to fit The PSU itself is OK. The cables are pretty rotten. When installing the unit, connect the cables you need before you put it in the case. This is because the cables don't fit the PSU very well and you really have to force them in. The power cables are also thick and not flexible, so if you try to install them into the PSU after you've fitted it, you end up whacking whatever you've installed on the motherboard with the cable.